These spoons are not your typical souvenir spoon. They are very large and heavy and were made for display purposes. 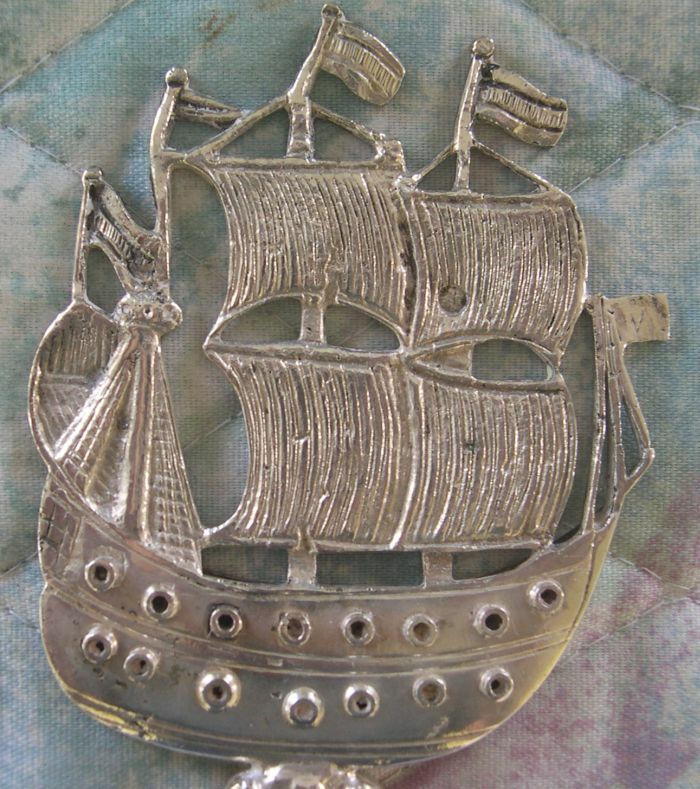 different silver styles into the same piece. 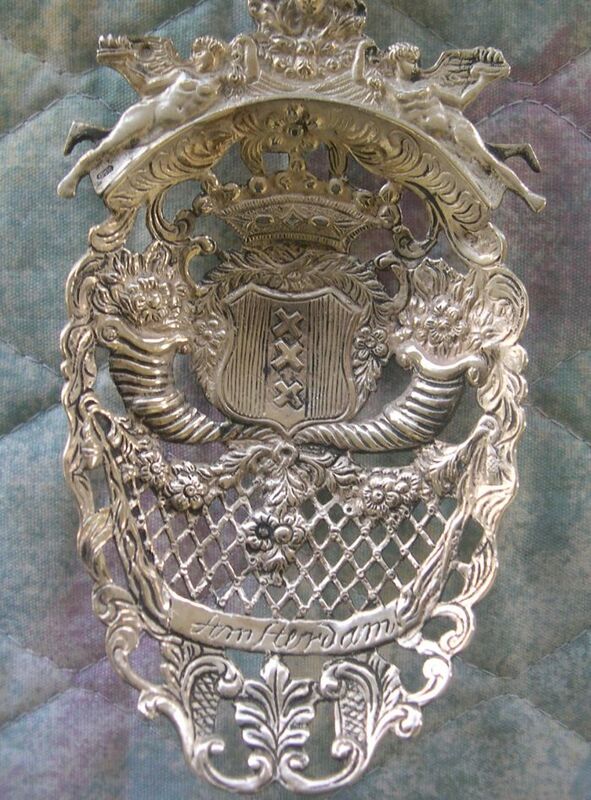 Thus it would not be unusual to see Rococco and Art Nouveau and other elements in the same spoon. many of the spoons in this series of exibits. shapes which seem to emerge from molten silver. I suspect that these spoons were purchased or commissioned by people who were invested in shipping ventures. 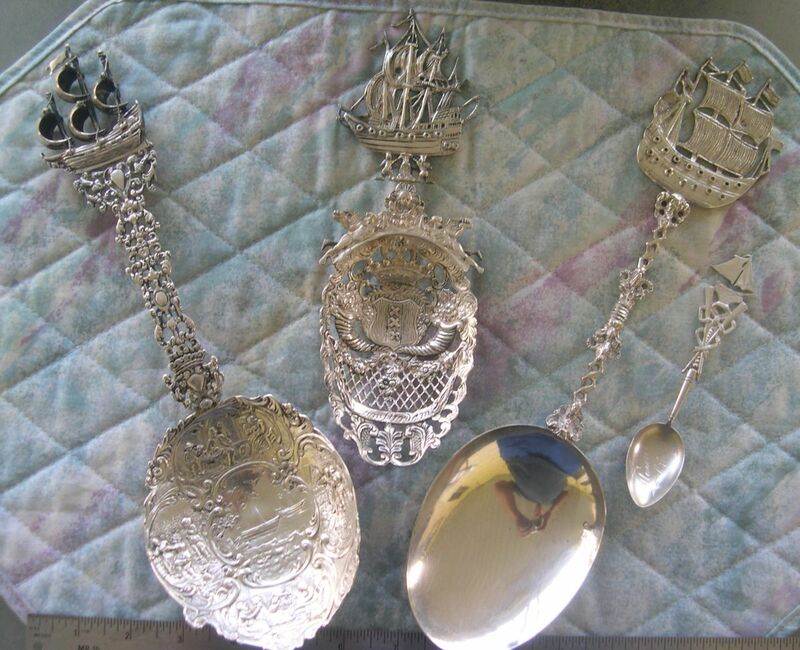 These spoons are large and heavy and contain a lot of silver, so they would have been expensive. their money to purchase and supply a ship. Upon its return the profits would be split according to the percentage of ownership. Shipping was also a very high risk speculation as ships might take years to reach a destination and return and many never did return. The sailors and officers who manned the ship also worked on a percentage and they were not paid until the ship returned home and the cargo was sold. Most of these spoons were made in the late 19th century or early 20th century. 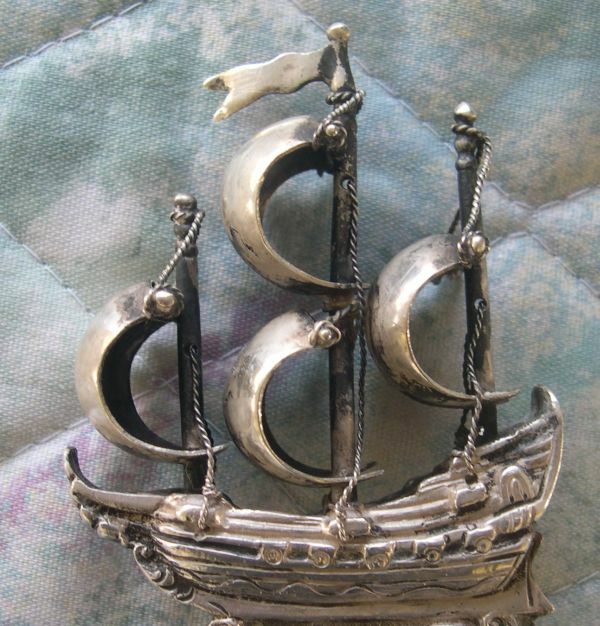 The styling often seems to indicate that they came from a former time period. 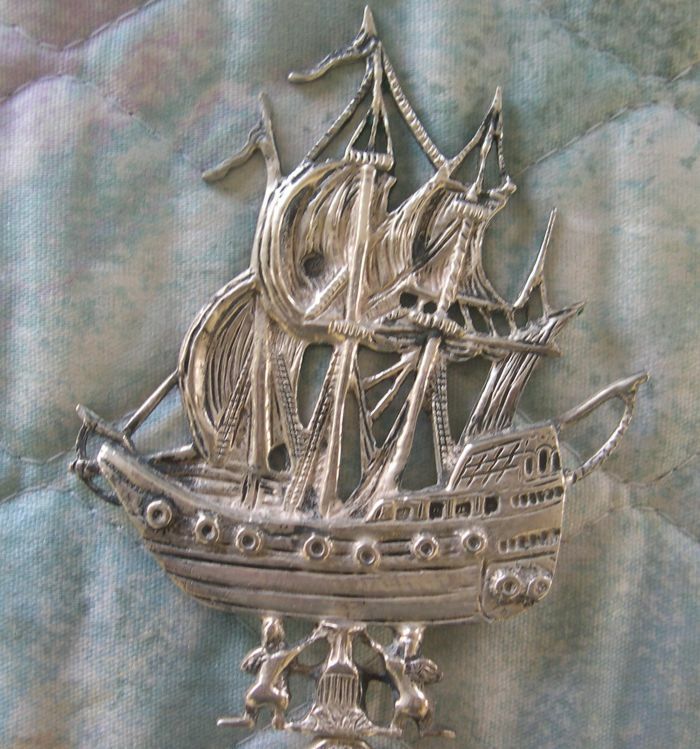 The idea of using a large ship on a spoon is derived from the custom of having a huge silver and gold and jeweled nef as the centerpiece of the dining table. 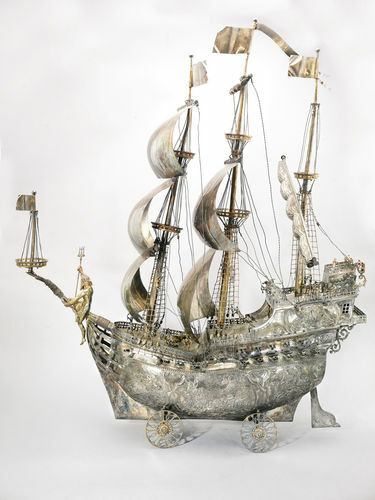 This type of awesome silversmith work was used by the European kings and nobles during the 1500-1650 era. how these spoons simply dwarf this normal sized spoon. This bowl has a lot of allegory. First notice the 'C' delininations from the Art Nouveau style and the auricular styling throughout. The center picture shows two boats with stylized water, birds etc. The bottom picture has two men at a table and one is smoking a pipe. The woman is talking to a child. 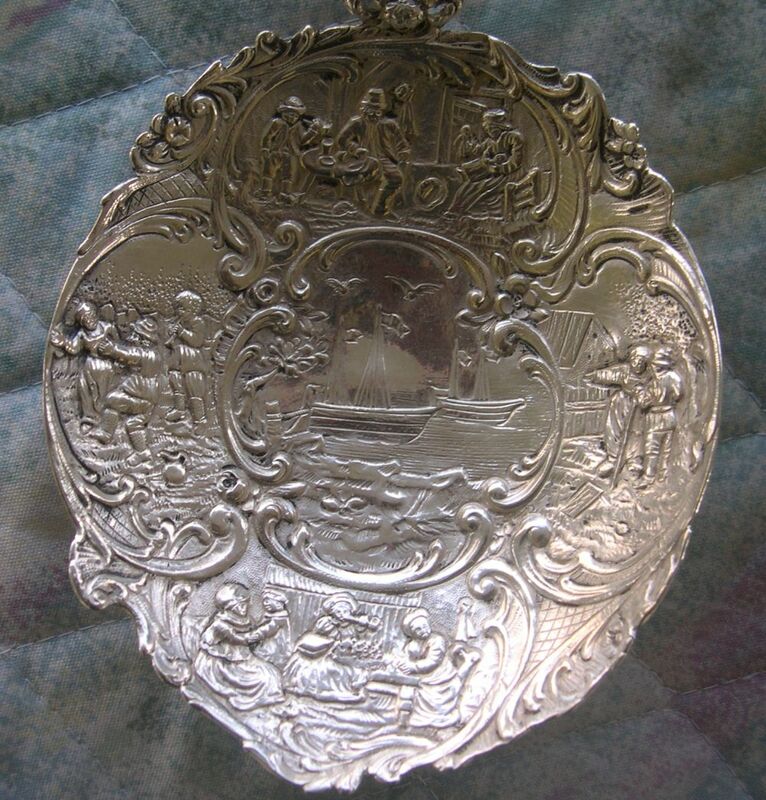 This bowl indicates that the spoon was from Amsterdam and shipping was a very important part of the city's business. The coat of arms is crowned. A four masted ship with five different flags.